The Fifth Dimension, Connecting to Create Success Now is a manual showing the easiest way to enter the fifth dimension and demonstrating the importance and power of our words during these times. The book takes you, the reader, through the process of creating your goals and defining your purpose, as well as demonstrating what fifth dimension community will be like. 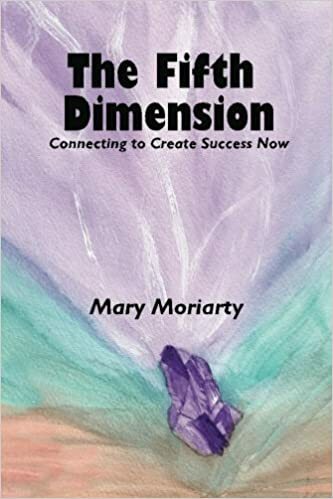 Mary Moriarty and the co-authors Archangels Michael, Raphael, and Gabriel, along with Sri Yukteswar, present the lessons and new definitions that will prepare us for the fifth dimension and beyond. This manual opens doors to the fifth dimension, allowing for a smoother transition during the adventure of a lifetime, as we accomplish the dimensional shift; something no civilization has ever done.